Mount Kearsarge (2937 feet tall) is a New Hampshire 52 With a View peak near Lake Sunapee. I have been mixing in some 52WAV peaks and decided to try my luck on Memorial Day weekend with a sunset view from the rocky summit of Kearsarge. It had been raining much of the weekend so the trail was pretty slick and very mucky! Sunset was at 8:16. We only had 1.1 miles to hike to make it up in time. The higher summits got some new snowfall (at the end of May!) and we were surprised to see Kearsarge got a little, too! Not a good time to test out how “water resistant” my new trail runners are. I ended up backtracking and going around here. On our drive up there was a giant grey cloud looming over the mountain, but it didn’t cause any issues. During our hike the skies cleared and we got some amazing views! On the way down we took the Barlow trail. It was a half mile longer and not as steep. This was a nice option in the dark. Check out my timelapse here. I am looking forward to doing some more sunset/sunrise hikes. 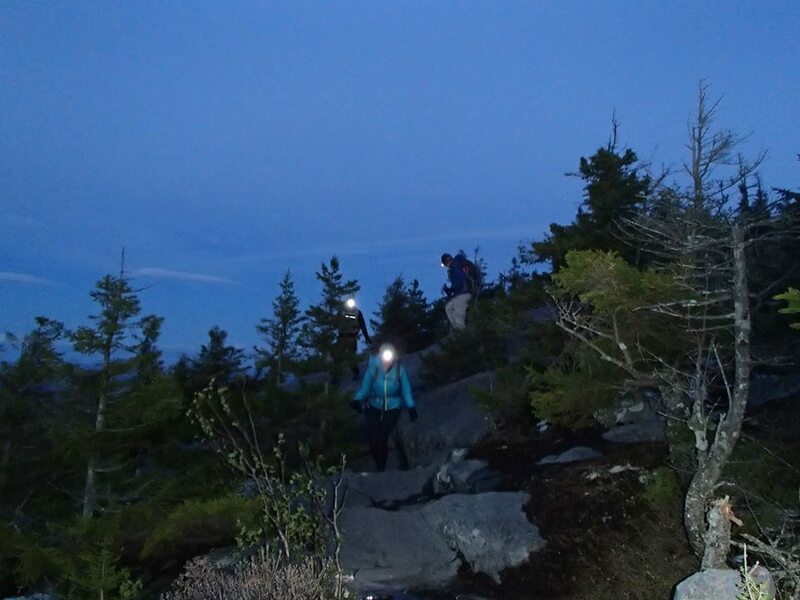 The next sunset hike planned in Camel’s Hump in Maine so stay tuned for more!